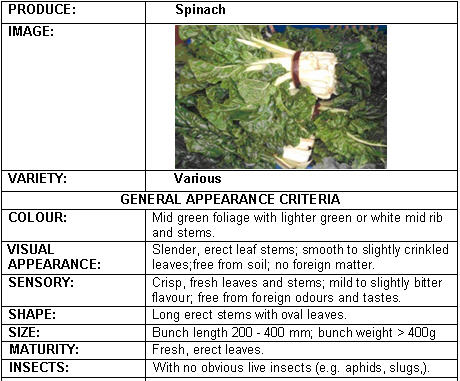 Spinach | Infonet Biovision Home. Spinach is cultivated worldwide in temperate areas and in the cooler parts of the tropics. Spinach is an important green leafy vegetable in temperate climates. Leaves are eaten raw or cooked. Tender young leaves can be added to salads, older leaves are cooked and used in soups etc. Optimum growing temperatures are 15-20degC. Vegetative growth is retarded by temperatures above 27degC. It does not suit the lowlands and grows best where the temperature varies between 10 and 20degC or above 2000 m altitude. It is frost resistant. 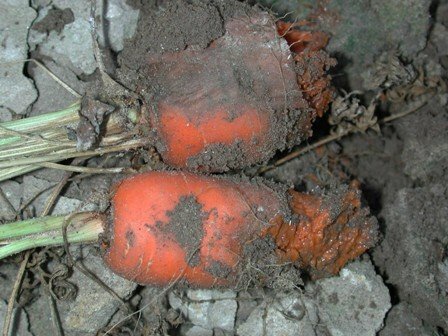 Soils should be light in texture, well-drained, rich in organic matter and with a pH 6-7.5 (EcoPort). "Early Hybrid No. 7": It is an upright, compact and prolific plant. The leaves are dark green, semi-savoyed, and comparatively large with short petioles. It is early maturing and highly productive. It is tolerant to downy mildew and has a very good regeneration ability. "Bloomsdale Long Standing": It is an upright compact plant. It has thick fleshy leaves, which are dark green, savoyed, large and with very long petioles. It is vigorous and an exceptionally long standing variety. "Giant Noble": It is a dwarf plant, fast growing but produces moderate yields. The leaves are smooth, thick, mid-green with short petioles. "King of Denmark": It is a spreading plant, very prolific and vigorous. The leaves are smooth, thick, mid-green, medium sized with long petioles. "Monstrous Viroflay". Transplant to harvest in 40 days. 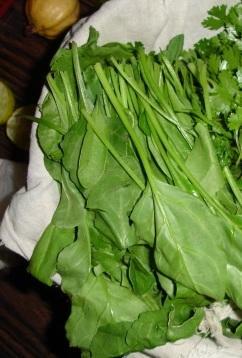 It has a rapid growth with medium green colour and smooth leaves. "New Zealand Spinach": It is a hardy, low spreading, branching plant. It has numerous leaves, which are triangular, thick, fleshy, dark green and are smaller than other varieties. The seeds are large. Prickly, and germinate slowly. It does well in hot, dry climates. It produces large amounts of greens over a long period hence best suited for kitchen gardens. In temperate areas two types of spinach are recognised, the round seeded type, usually sown in the spring and harvested in the summer, and the hardier prickly seeded type sown end of summer or beginning of fall for use in the winter and spring. Spinach needs high doses of nitrogen (N) and potassium (K) as well as a regular water supply throughout the season for optimum yield and quality. Summer crops may be intercropped with other vegetables to benefit from shade (CAB 2006). Whole plants with 8-10 leaves are harvested, the roots are cut one cm below the plant base and the product is sold in bundles of 10-15 plants (CAB 2006). It is a very detrimental insect to spinach. It can transmit diseases that can wipe out large portions of the crop. Aphids and leafminers cause the most serious damage on the crop (University of Georgia). The aphid is pale yellowish in colour and small. It lives mainly on the underside of leaves and therefore hard to control. This fungus is distributed worldwide. It causes leaf spotting that spoils the quality and appearance. Leaf spots begin as indefinite yellowish areas on the upper leaf surface. A mat of grey to violet mould develops on the corresponding lower surface. With time under cool, wet conditions, the spots enlarge until the whole leaf turns black and dies. The fungus increases profusely in high humidity. 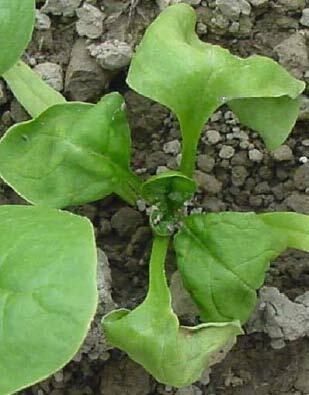 The spores can over-season in mild climates in living spinach, in seeds and in the soil. Use resistant varieties (e.g. "Early Hybrid 7"). Use certified disease-free seeds. If using own seeds, treat seeds with 50 degC for 25 minutes. Practise at least a 3-year rotation and plant in well-drained soil. It is one of the most important diseases. 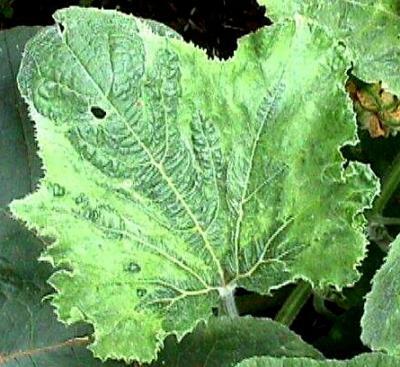 Its symptoms include water soaked tissue and muddy-green or greasy appearance of leaves. Rapid decay occurs and the tissue becomes wet and mushy. This bacterium is found in the soil and in plant debris. It can enter into the plant through mechanical injury, insect injury, disease lesions and other skin punctures. Practise rotation with maize, beans, small grains and grasses. Care at harvesting and handling to avoid bruising. A storage temperature just above freezing (0 degC) and a relative humidity below 90% does much to reduce soft rot losses. Storage rooms, dump tanks and boxes should be disinfected each season with copper sulphate. 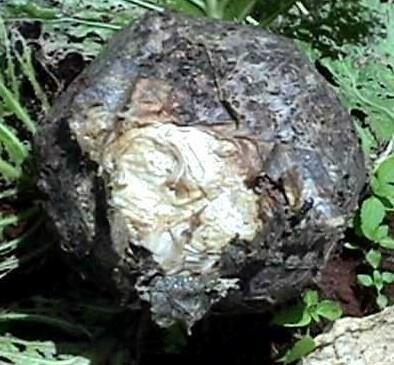 It is a wilt that is caused by a fungus. 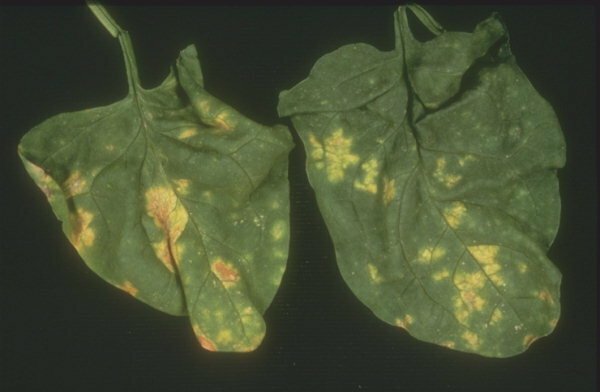 Plants can be affected any time after the three-leaf stage. Foliage loses its green luster, gradually wilts and turns yellow, beginning with the oldest leaves. The fungus is soil-borne and seed-borne. It commonly occurs where temperatures are fairly high. It can live in the soil indefinitely and rotation is not effective in its control. 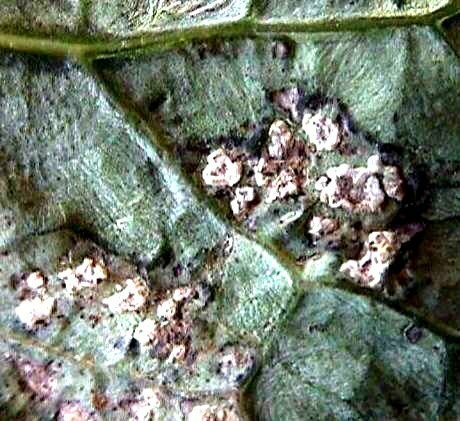 It is a fungus that causes white blister-like pustules on the underside of leaves. They are filled with white spores and the surrounding tissue turns brown and dies. The fungus favours clear, warm, and dry days with cool nights. A 3-year rotation is recommended. It is transmitted by the green peach aphids. Symptoms begin as a mottling of the younger inner leaves, which later change to a yellow colour. The symptoms gradually appear on outer leaves, which also change to yellow. The affected leaves curl and wrinkles. Severely affected leaves die. If a plant is affected at the seedling stage, its growth is stunted. The Dwarfing, yellowing, corrugation and leaf death are conspicuous symptoms of the disease different from other diseases attacking spinach. Intensity of the virus increases under long days and intense light. 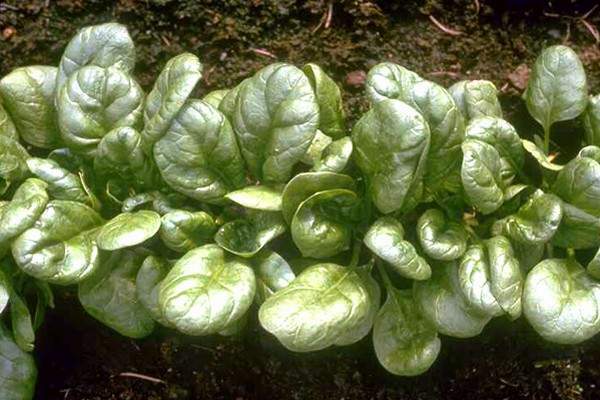 This virus affects, in addition to spinach, a wider group of vegetables, flowers, weeds and ornamentals than any other virus. At least 34 plant families are included as hosts. 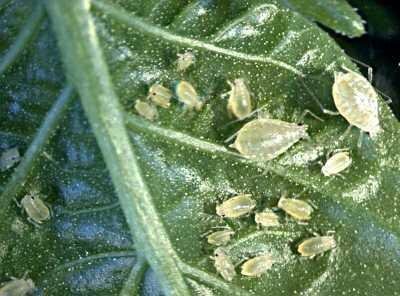 Control aphid vectors throughout the growing season. Sherf, A. F. and Macnab, A. A. (1986). 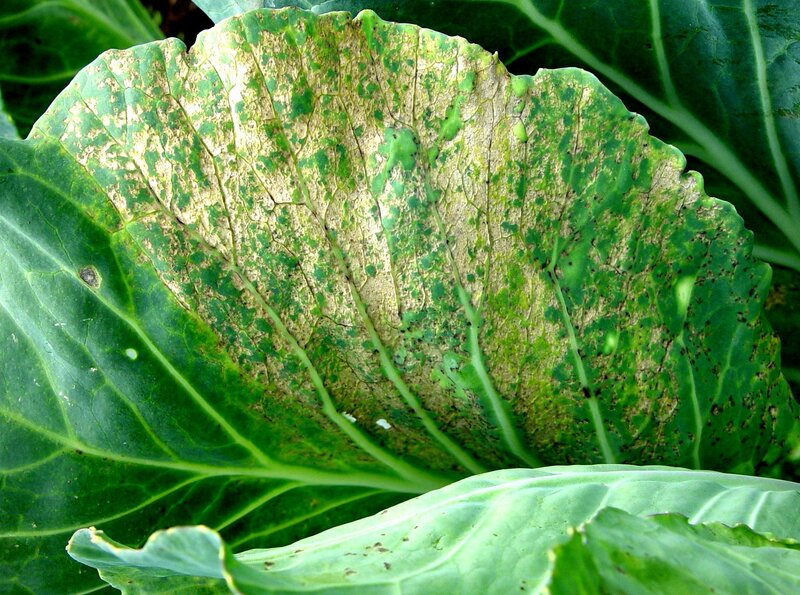 Vegetable Diseases and Their Control. John Wiley & Sons, Inc. ISBN: 0-471-05860-2.